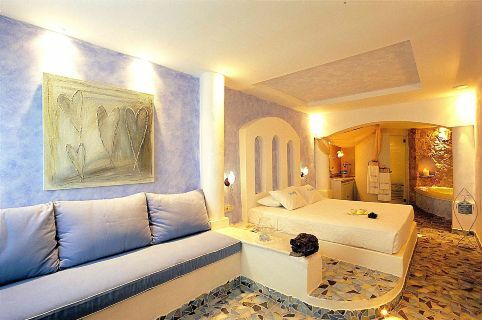 Private and traquil, the Executive Suites offer open air heated couples Jacuzzi and daybed in their panoramic terrace. 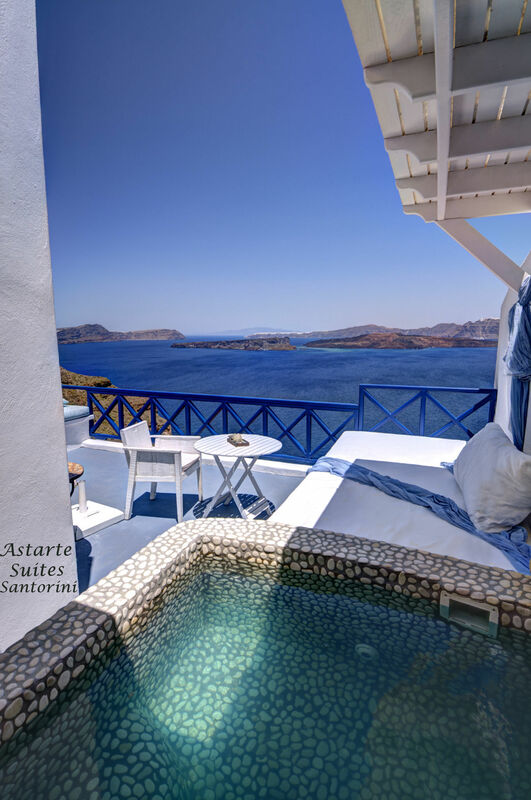 Under a star filled sky, you hear nothing but the faint sound of the crashing waves. 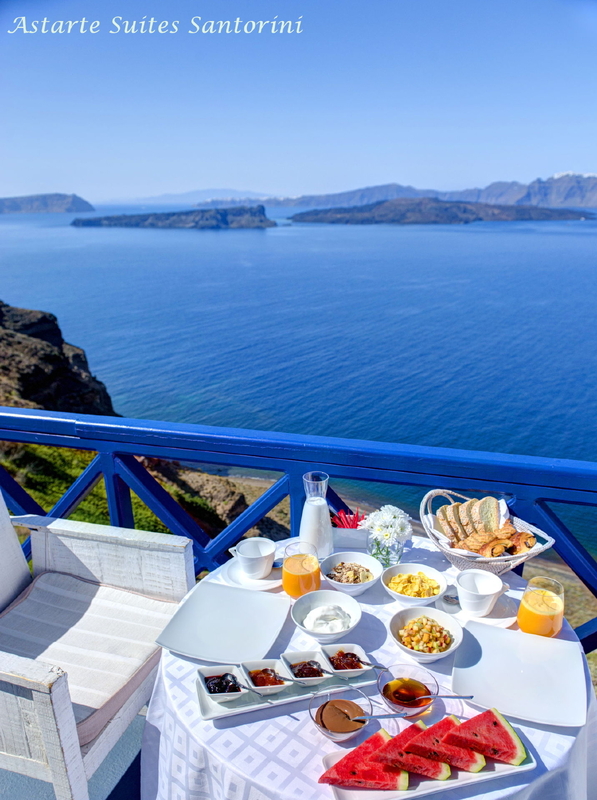 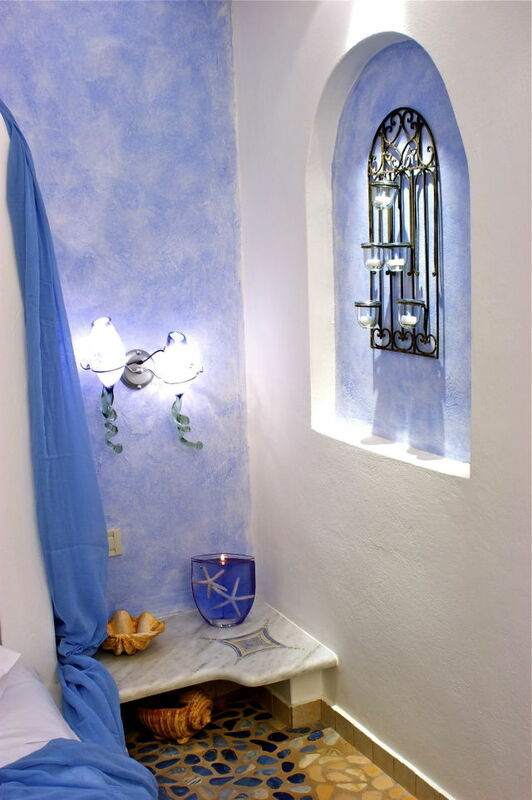 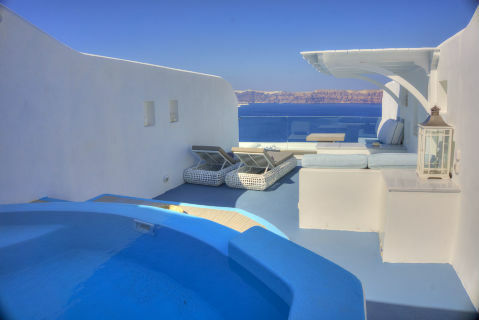 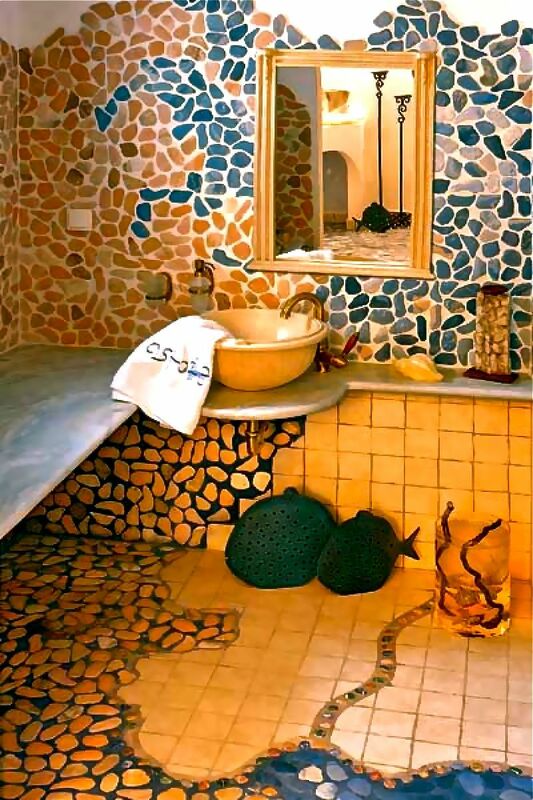 Luxury and romance of these Santorini-style suites will exceed your expectations. 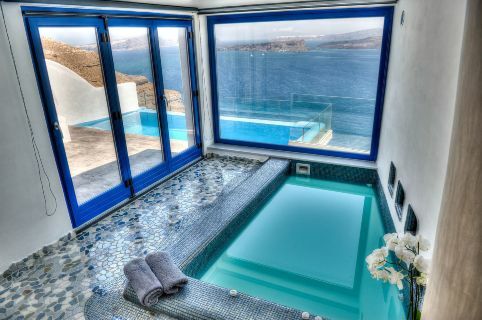 Open your bedroom door and let your eyes feast on the captivating views of Santorini's Volcano. 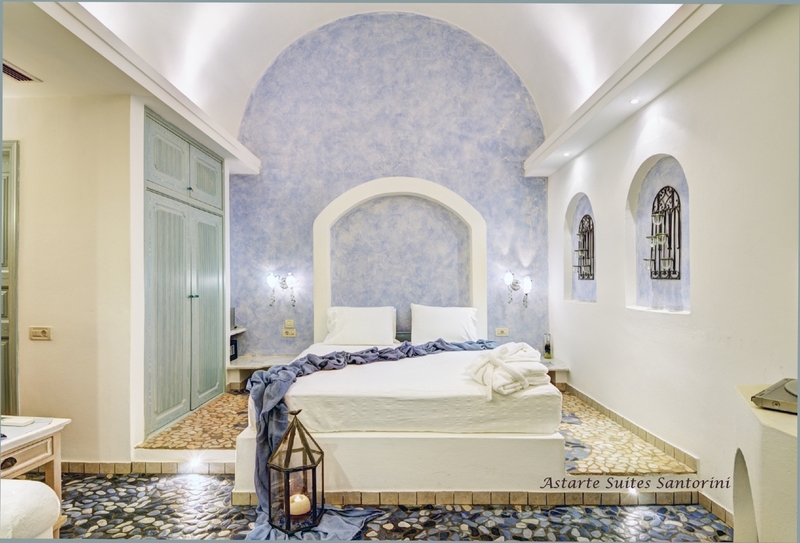 King-size Bedroom with marble bed tables, spacious sitting area, bathroom with shower, large open air heated couples Jacuzzi-pool, private panoramic large terrace with sitting area, dining area, large outdoor lounge with daybed having volcano, caldera and sea view.